As I calculated the exact change in my hands this morning, a QR code at the hawker stall caught my eye. Hey, cashless payment for a bowl of noodles, I thought. If that sounds familiar, it rather sums up the approach that Singapore has taken to push cashless payment, It’s one of the biggest things on the infocomm agenda today, but you wonder if the plan has been well thought out. The idea is that once you build it, people will come. Or, if they don’t, make them come because there will be no other way. In MRT stations, you won’t be able to top up your ez-link fare card with cash by 2020. In some stations, cash is already on the way out. 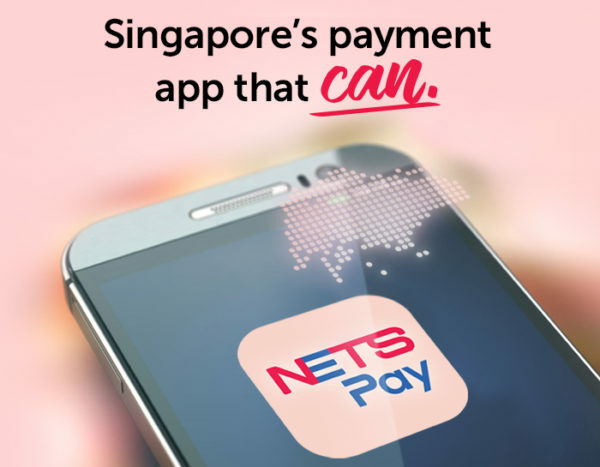 Seniors who don’t have a Nets card or credit card will have to top up their ez-link cards at convenience stores elsewhere. In a fast-greying nation, we are telling our seniors to go away to top up their cards before taking a train. Even more perplexing is the push for cashless payment at hawker centres. These are places frequented by young and old alike, but the elderly are likely to bring small change to buy a bowl of fishball noodles or a plate of nasi lemak or mee goreng. It will be sad if hawker centres one day decide to only accept cashless payment. Now, if there were only one cashless payment method, it would still be possible to learn. There are several, and you can’t pay with the common ez-link card, for example. The newly-open Yishun hawker centre I was at this morning just introduced Nets’ QR codes for people to scan with their phones. You pay by scanning a QR code, then you have to key in the right amount and show the hawker as proof. That’s because, unlike the QR codes in China that the Singapore government is keen to emulate, the code is fixed rather than dynamic. This not only inconveniences the customer but also the hawker. One has to take out a phone, fire up the app, scan the code, then key in the right amount and hold the phone, preferably not over some hot soup, to the hawker. He then has to stop cooking for a moment to check. We speak a lot about digital transformation these days, but this isn’t it. This is introducing technology for the sake of it. And it’s bizarre that Nets has rolled out its QR code payment despite a simpler, more accessible cashless payment method being rejected by consumers two years ago. I checked the date of a Today article from 2015 a few times before realising Nets had created a way for people to tap its contactless cards onto readers at hawker stalls back then. Lacklustre was the response then. Was nothing learnt? Or is Nets, owned by the local banks, just putting QR codes out there because of the current cashless drive by the government? For a simpler technology, you just have to go to another hawker centre in Hougang. Ci Yuan Community Club’s 24-hour makan place, open just two years ago, was once touted as one for the future, especially with smart machines that took dollar notes from patrons and spit out exact change to them. This means the hawker just keys in the order as the customer tells him, then goes on to cook the food. The customer simply slips in the cash, gets his change and walks off with his food. The hawker doesn’t have to touch the notes with his hands. Customers are happy because they don’t have to see the disapproving face of a hawker who’s handed a S$50 note. This is a classic case of a simple technology solving an obvious problem. If it works, why roll out something else that inconveniences people instead? There are many benefits to going cashless, to be sure. You don’t have to carry so much cash on you, for one. Plus, there’s no need to worry about exact change. Yet, each use case has to be considered. It’s great to not have to pay cash for taxi rides. It’s cool to tap with a contactless credit card for a cuppa and not have to sign for it. But you should not be forced to use a technology when it doesn’t make sense. And sometimes, habits need time to change too. In hawker centres, there should be an option to pay by cash for years to come, especially when the people going there tend to use cash. It’s also time to make things simpler. You don’t need another, more complex, cashless system – you just need something that works. In Singapore, ez-link and CashCard have found it hard to make it out of train stations and cars, because they have been seen as one-use stored value cards for so long. Compare this to Hong Kong’s Octopus card or Japan’s Suica. Now, add QR code to the mix. And not just the Nets flavour in use at hawker centres. Other places may use other QR code systems, such as China’s AliPay or WeChat Pay. This can get confusing. It will be deeply ironic for a smart nation if one day, you have a pocket full of cash, but can’t even pay for a bowl of noodles because you don’t have the right app. Or if your phone is out of battery. No, we don’t need to force a change in behaviour to chase the latest fad. Things should be simpler as technology matures, not the other way round. My first reaction to Alfred’s article is, why so complicated? We are a small island and we don’t need that many confusing, complicated and non compatible payment methods. QR Pay static code was created for hawker centre with a goal in mind; to allows hawkers to operate it in an asset light mode. The intention is good but flawed. The author did a very good narrative on his experience, to add on, it’s not always easy to scan a code due to the lighting conditions, position of the code and the huge varieties of camera qualities in modern phone today. To make it worst, you need to punch in the payment amount manually. In China, majority of the merchants support dynamic codes, either they scan your device with a professional scanner (hence speed) or you tap or scan their code. It’s quick, seamless and easy. To me, it lives up to the original motivatio why QR code was created. QR is the acronymn for Quick Response. He then brought up the merits of the cash payment machine introduced at some hawker centre. I do agree that it is quiet easy to use. however, the cost of setting up the machine and it’s size could be prohibitive. But again it is just “cashless” handling and not epayment. Instead of another system, has anyone thought about an add-on? It is relatively easy and not to costly to implement a CEPAS reader to these cash machines. Add a LCD screen, you can generate a dynamic QR code for payment. 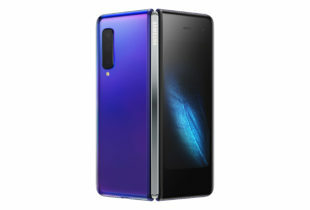 Get hold of a CEPAS specifications and one should be able to figure out how to make it work; together. Alfred’s third point and his concerns about aging population ease of use, I do not agree totally. In Japan, way ahead of Singapore in terms of the graying population problem; has been actively promoting epayment such as Suica to the seniors. The logic is simple and the advantage is clear. No fumbling of coins at point of payment, limit your risk by controling the max amount in your e-wallet. In the event of a lost card, there is still ways to report it and claim back unused amount. My recommendation is very simple, do not design, implement a system for the sake of doing it. Do come out to the field, understand the needs, experience yourself from the perspective of a merchant and customer before creating another confusing system for the market. Great points! Especially the use of Suica cards in Japan to assist the elderly. Simplicity is key.